I always go through different phases with music. Sometimes I'll listen a lot to pop, sometimes I find myself always turning on Ed Sheeran, but lately and most of the time I'm on a country music kick. 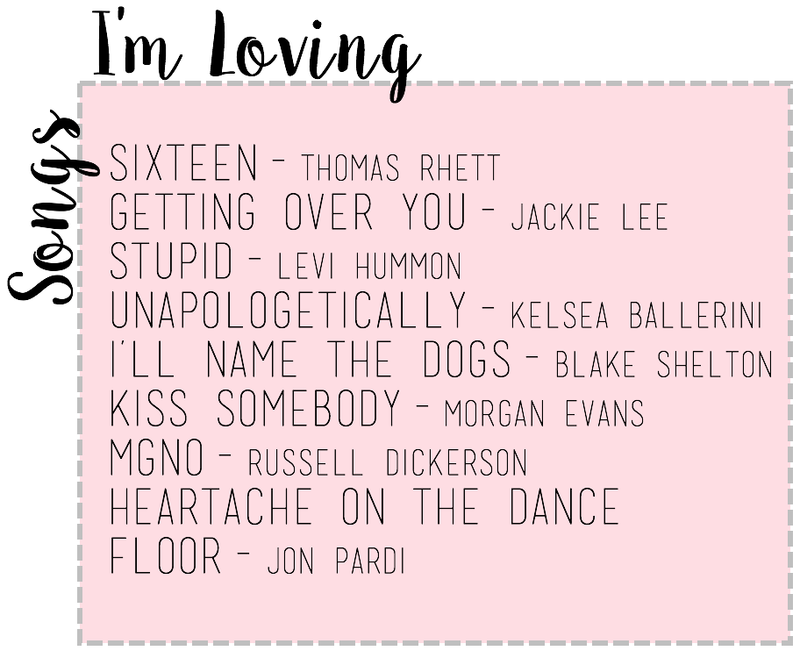 No matter what type of music I'm into I always find myself listening to the same songs on repeat so I thought it would be fun to share some of the songs that I've been absolutely loving lately. None of them are new or unique but they're all super fun songs for listening to all the time. And maybe there's one or two you haven't heard of or listened to in a while. 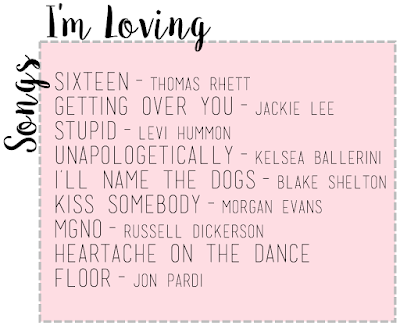 If you all have any other fun song recommendations let me know I'd love to hear them!